Today I made this salad, it isn’t much, but I raised it from the earth (or rather, the water) with my own hands so I’m proud of it. I’ve been meaning to do a short article like this for a while. Currently, the reality is that hydroponics costs more than traditional gardening, or just buying your food from the store. 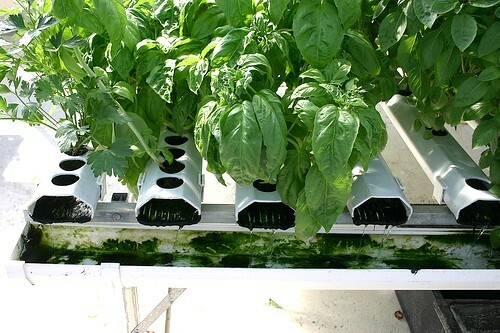 I mean sure, hydroponics uses 90% less water, grows up to times 50% faster than other methods, can be done year-round and is in my opinion better for the environment than soil, but at the end of the day it still costs money to produce. So why do it? I would instead ask you, why wouldn’t you do it? Why does one take up any hobby in the first place? To build trains, to collect pretty stamps, to relieve stress in whatever way floats your boat etc. The benefit of having hydroponics as a hobby is that you get to not only grow your own food that is scientifically proven to be more nutritious and also delicious, but you get to learn about all the little things that go into raising a plant. My soil gardening brothers get this same pleasure, but in hydroponics we get to go down to the nitty gritty, we get to have control over a variety of metrics which aren’t accessible to other types of gardeners, we can change the pH, adjust the lights, hone in on the perfect NPK ratio. It’s like raising a child, but you get to alter the conditions in the womb to your liking. The end result of all this is that you get to help the planet, help yourself (it’s a great stress reliever as we all know), and most importantly get to enjoy the bounty of your harvest. You can actually eat the fruits of your labor, unlike many other hobbies. These tomatoes and cucumbers were grown in an ebb&flow system in my urban backyard, and the microgreens are a variant of spicy salad mix crossed with purple basil. The only thing not hydroponic is the lemon garnishment which came from the lemon tree in my backyard. It’s a small salad, but it’s mine, and it’s so delicious that it should be illegal. But it’s not, so get out there and grow yourself one, and share this moment of satisfaction with me.